Our excellent facilities, hands-on learning techniques and impressive employment rates will give you a great start towards a rewarding career in nursing. Our nursing courses are ranked 11th in The Guardian University Guide 2019. Becoming a nurse is quite literally life-changing. You’ll gain the skills to provide exceptional levels of care via our first-class facilities, practise these skills through placements in hospitals and community settings across the region, and gain a full understanding of both the demands and rewards of delivering high-quality nursing care. Our exceptional employment record shows that our nursing graduates are in high demand. Choose to study with us and take your first step into a rewarding career, where you will be able to make a positive impact every day. 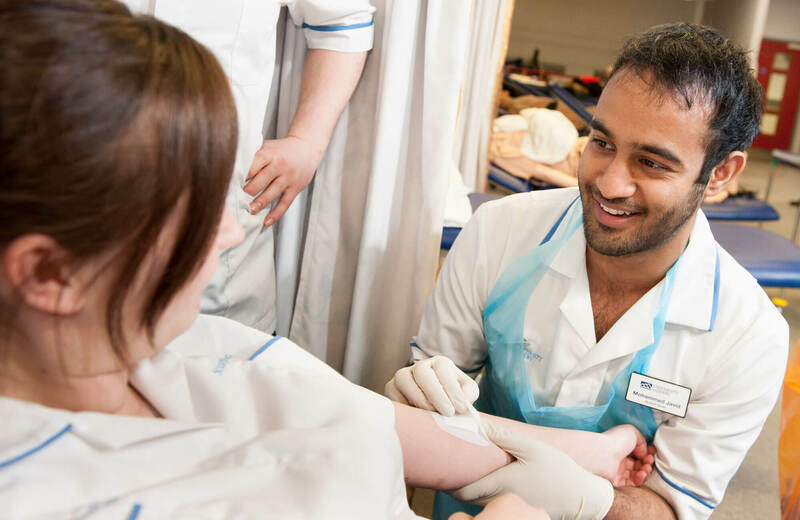 Find out about the best route for you into this exciting career with our Routes into Nursing. "The lecturers were approachable and encouraged me to push myself. They gave me important feedback that enabled me to progress further, they also visit placements to offer support and guidance which is really useful." You can study BSc (Hons) Nursing (Adult) and BSc (Hons) Nursing (Mental Health) at either our Derby or Chesterfield Site, both of which offer exceptional health care learning facilities. BSc (Hons) Nursing graduates are eligible to register with the Nursing and Midwifery Council (NMC) as either an adult or mental health nurse. If you choose our FdSc Professional Development (Health and Social Care) / Higher Apprenticeship (Assistant Practitioner) you’ll develop your skills to support you in your career progression within health and social care. In addition, our extensive continuing professional development short courses and modules are available to qualified health care professionals.